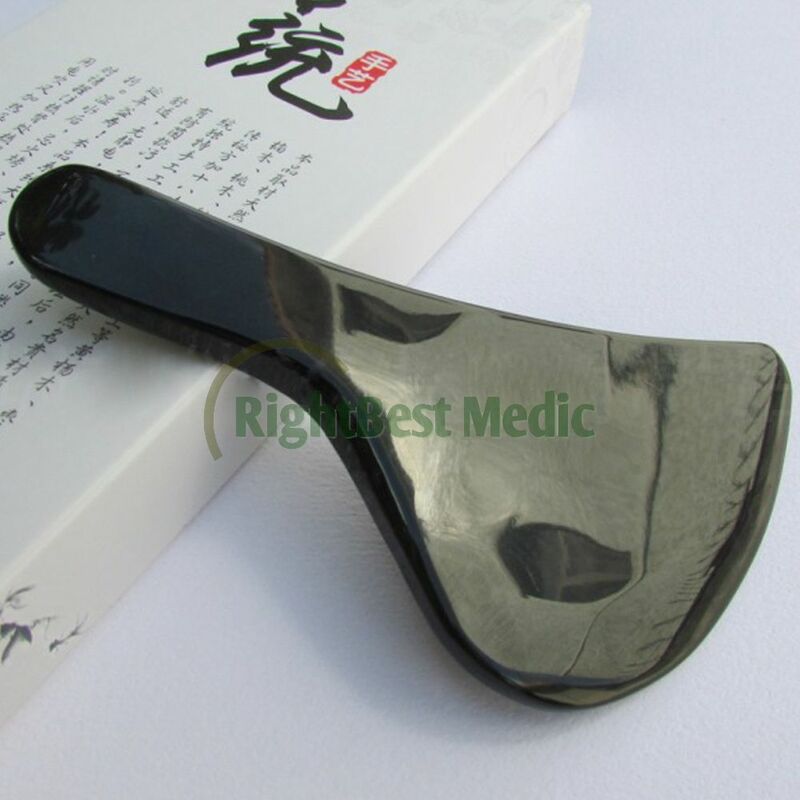 In the system of Traditional Chinese Medicine, Water Buffalo Horn is considered to have cooling properties, like the rhinoceros horn which it has come to replace. Use of it in Gua Sha furthers the goals of removing of excess heat and toxins. Buffalo Horn comes from the Indian buffalo, also known as the water buffalo. After being removed, the horns are cleaved in half, soaked in hot water, cleaned of any impurities, sliced, and dried in the sun for use in traditional medicine. Buffalo horn is comprised of a variety of chemicals and substances, including keratin, glutamic acid, aspartic acid, and the amino acids cystine, leucine and arginine. 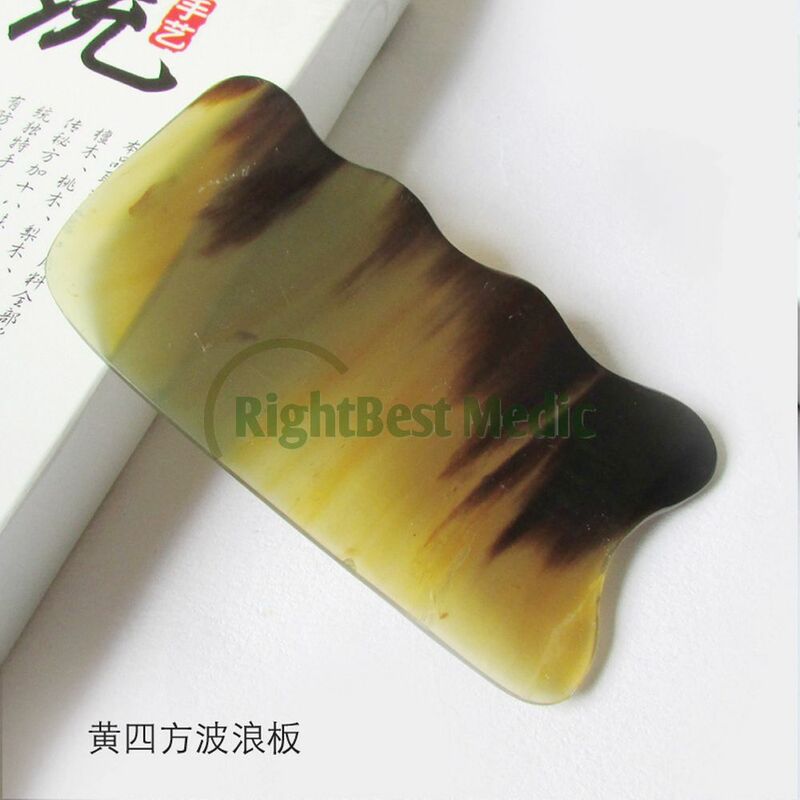 Buffalo horn also contains several trace elements, including sodium, magnesium, potassium, iron and zinc. Its functions are to clear away heat, remove heat from the blood, and eliminate toxins. 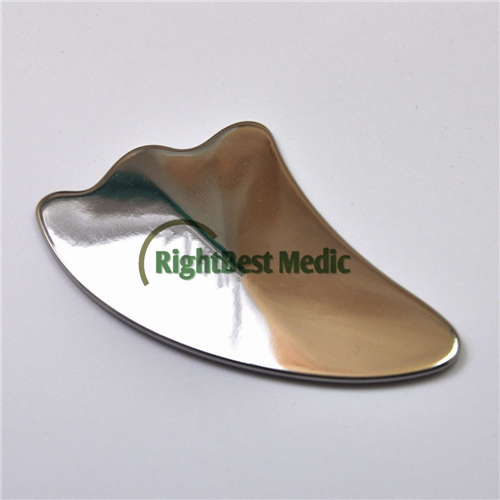 Buffalo horn is used to treat conditions such as fever, edema and convulsions. 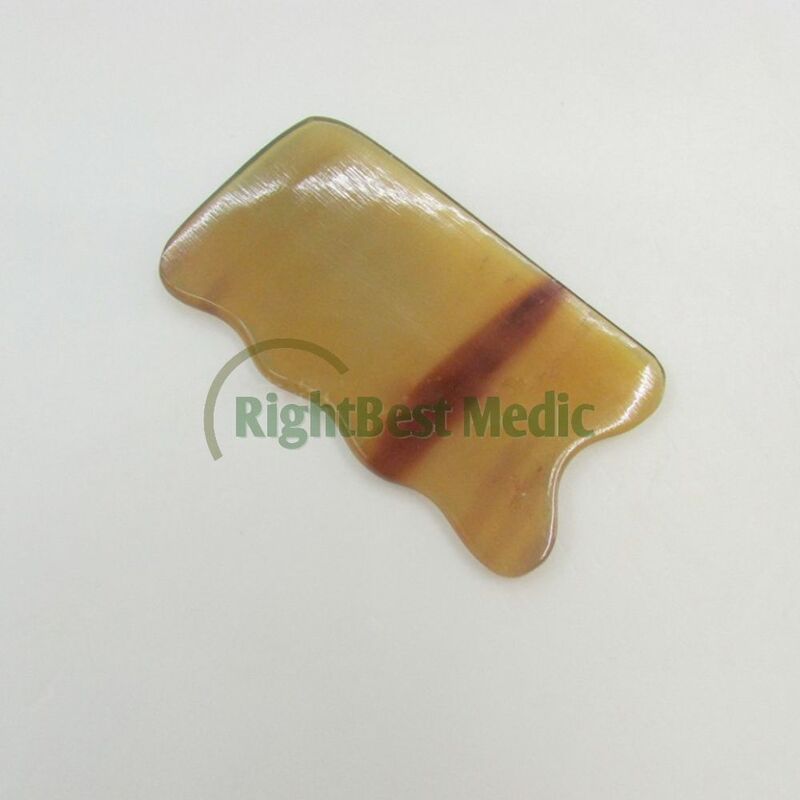 Buffalo horn can also be applied to the skin to treat skin eruptions caused by feverishness. First apply a few drops of Gua Sha oil to the skin surface. This oil is specifically designed for the Gua Sha treatment; it contains medicinal herbs with properties which will enhance the blood moving (circulating) or toxin eliminating function of Gua Sha treatment. Then take the Gua Sha tool (there are many to choose from), and slowly and continuously making long strokes, rub downwards from the neck down the posterior aspect of the back (which is the most common area, but not the only area - other areas such as chest, arms, and legs are also treated). Initially a few red spots will be visible, and will guide you where to concentrate on. Continue for approx 5 - 10 min depending on the condition and severity. Some purple marks could also appear. In younger patients, only a pink glow may appear. 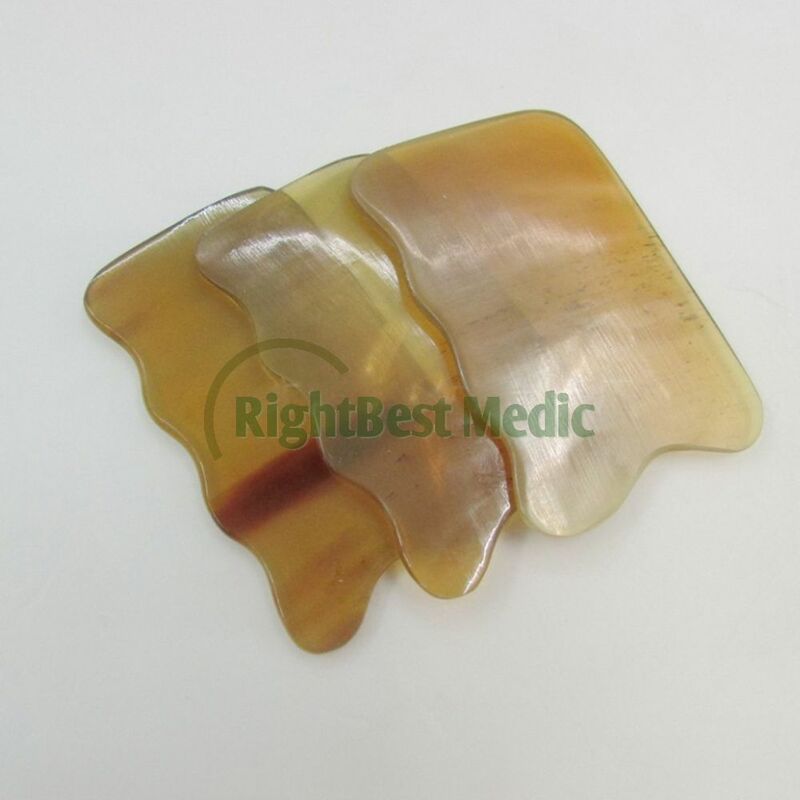 Gua Sha is a safe, simple and effective traditional procedure. The marks (if any) will only be visible for a few days, before disappearing. An early feeling of relief and recovery is reported by adherents of Traditional Chinese Medicine. Apply downward strokes to the skin using moderate pressure. The person should not feel pain although it might feel uncomfortable. Stroke one area at a time, until all the sha is up (the petechiae of that surface is completely raised) which is when stroking no longer increases the number of dots or changes the color. Then move to the next area. The sha petechiae should fade in about 2-4 days. If they are very slow to fade, it indicates poor blood circulation and according to Tradtional Chinese Medicine there may be a more serious deficiency that will require additional treatments combining acupuncture or acupressure in specific areas. 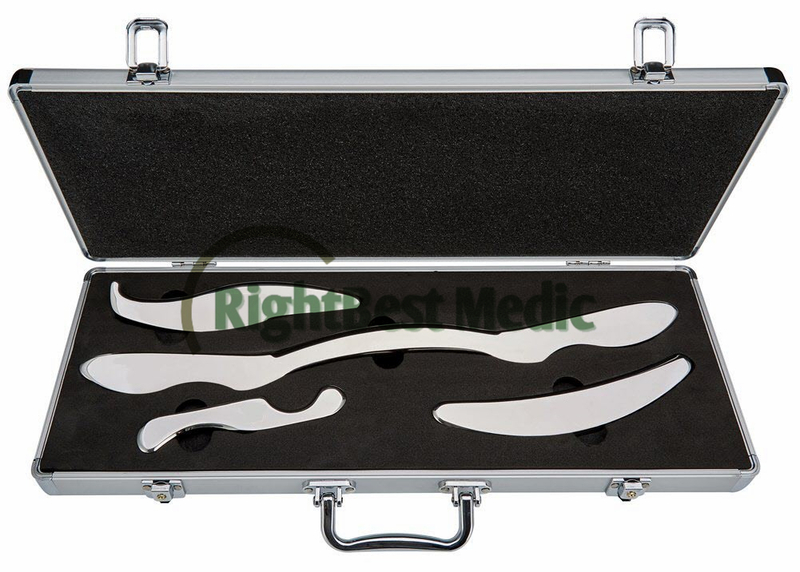 Because Gua Sha moves "stuck" or stagnant qi and blood, the person receiving Gua Sha will probably feel immediate changes in his/her condition. It is a very useful treatment for external and internal conditions, and treats both acute and chronic disorders.